February in British Columbia doesn’t usually conjure up images of Halibut Fishing in Victoria and Southern Vancouver Island, however for those in the know, it’s time to ready the rods. 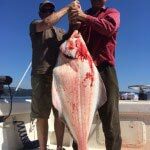 Halibut season in Sooke, B.C. 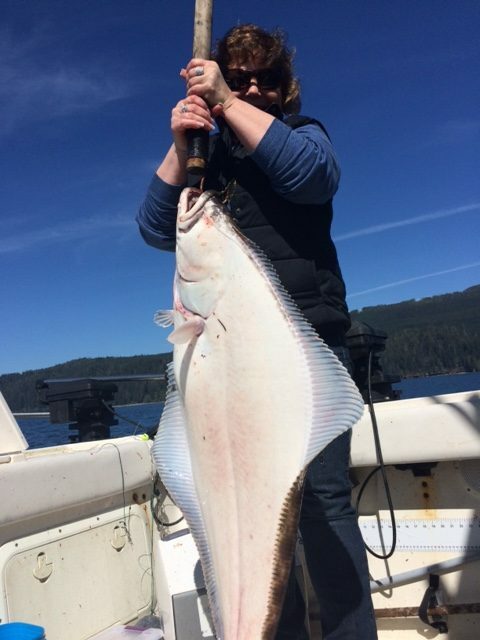 opened on February 1, so it’s past time to start getting excited about halibut fishing! Once a species mainly reserved for commercial fishing, sport fishing for halibut has become extremely popular in the last decade or so. 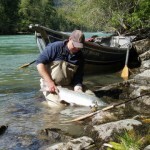 Many anglers will aim to target salmon and halibut during their early season charters. These halibut are hard fighters and fun to catch and you’ll be fishing for them half an hour – or a little more – after leaving the dock, using salmon, mackerel, herring and octopus to catch the big one. Early in the season the fish can be found in shallower water, making them easier to reel in. 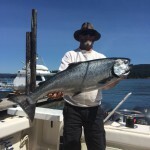 Feeder Chinook fishing has been consistent with lots of fish caught, recently the bigger ones up to 15 pounds, fishing with spoons, flashers and bait. 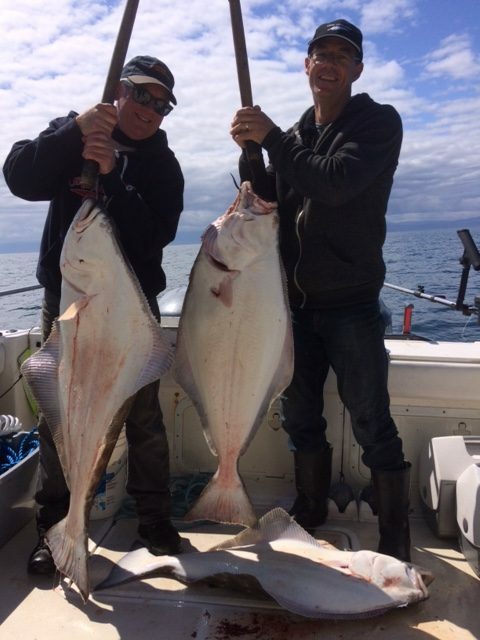 As a bottom dweller, Halibut Fishing in Victoria (Sooke, BC) usually requires medium to heavy weight bottom fishing tackle. 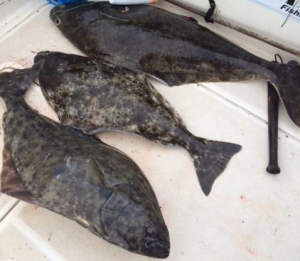 While some halibut can grow to 400 lbs or larger, most caught off the southern B.C. coast run in the 30 to 50 lbs range (B.C. 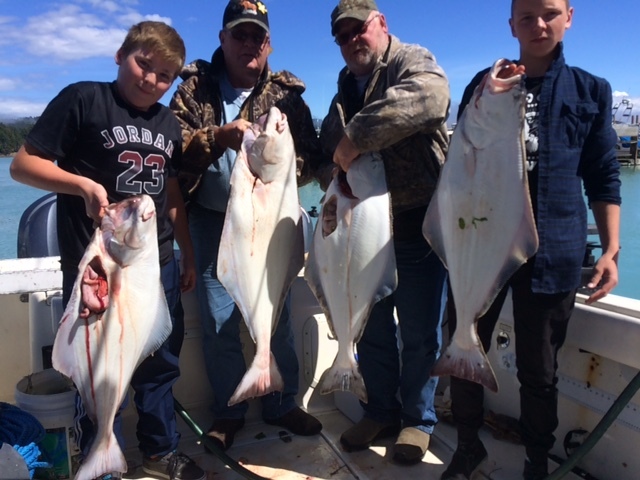 Fishing regulations allow anglers one sport caught halibut per day per person, possession limit of two and an annual limit of six. Size limits also apply). 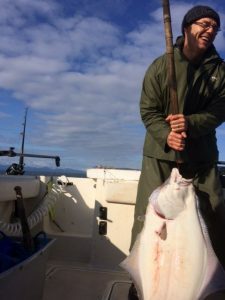 While one fish per day doesn’t sound like much, the yield from one halibut can be up to 60 per cent of it’s body weight meaning a 60 lbs fish would yield 36 lbs of fresh fillets. Spend two days Halibut Fishing in Victoria (Sooke, BC) with a few family members or friends and your fresh fish supply will last for months. 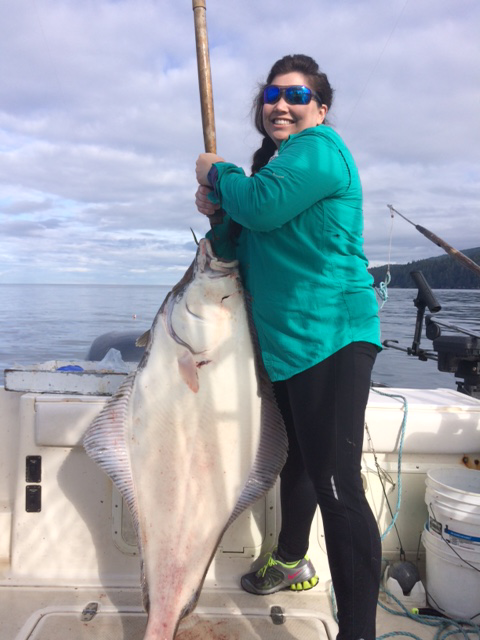 The time spent halibut fishing can reap huge rewards for lucky anglers. Halibut is considered one of the top seafood delicacies and commands a premium price in stores and restaurants around the globe. 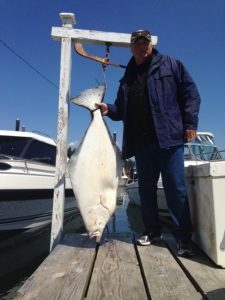 Bluefin Fishing had a great season last year and we’re expecting more of the same this year! Check some pics of a few of our charters — we’ve got the how, where and when figured out! Book your Halibut Fishing Charter with Bluefin Fishing today!